If you want to live longer and healthier, start paying attention to the quality of food you consume. Not just your fast food or big bowl of Garri with stew, but highly nutritious food cooked with fresh veggie ingredients. You need healthy foods to lose weight, build body resistance, increase immune system and live longer without diseases. 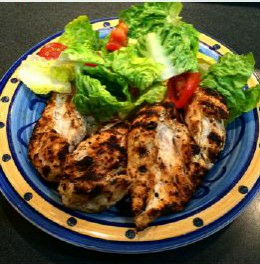 Chicken: with its low fat protein and crunchy salad helps support a healthy living. · Capable of reducing risk of disease such as high blood pressure, heart disease, cancer etc.